Hi All your order link is below for kit, sizes and pay on line. For the first order Dan Ellmore has said that if he closes it at the end of February. For delivery Mid April (5/6 weeks). People can order after the date and delivery will be 5/6 weeks from date of order/purchase. The great thing about this new system is that the link will be open all the time so there is no need to wait for order windows to open. Plus there is no price restrictions on single orders. We have negotiated free delivery for bulk orders only. I will collect from Lincoln and then people can collect from me in Beeston. This cancels the shipping charges. For future individual orders normal delivery costs apply. Hi All members. Based on agreement at the AGM we have investigated and sourced a new supplier for our CLUB KIT that meet the lower price requirements. Richard Oakes showed the quality of the new suppliers kit at the AGM and it was agreed to move forward with Ellmore Clothing. Ellmore Clothing are a lincoln based company with a long established reputation. Dan Ellmore the owner is active in the cycling community and he is the organiser of the Lincoln Grand Prix. To confirm it is only CLUB KIT that Ellmore Clothing will provide. (The race team kit with sponsors logos will still be provided by Godfrey sport). 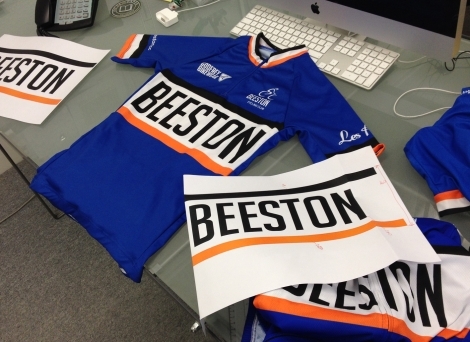 To get things started we are opening a CLUB KIT order for the next 4 weeks. In early January we will be receiving a full range of kit for members to try on. I will update you on that and the ordering procedures early January. 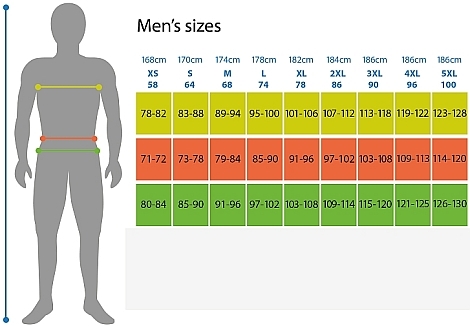 However please see the size guides below. There is no min order requirement. If we get a good amount of items ordered then Dan will look at the order with view to giving what discount he can. See a selection of their range and prices below. Please note all kids prices will be at Net prices. All Aero kit are a more streamlined race fit. Can everyone put down their order here. We will establish the ordering systems in early January. We will need the first few weeks to get colour samples sorted to ensure that we have a seamless transition of quality. There are many shades of blue and it is important that we get it right. 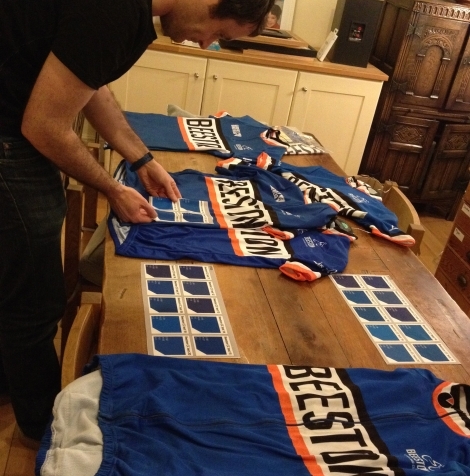 I have resupplied all the artwork and sent some of my jerseys and bibshorts so that they can match like for like. Hi John. 1 Medium, Aero Short Sleeve Road Jersey please. What if your orange line is bigger than your yellow line? Either way I’ll have an ss road jersey, size to be confirmed. Any chance of looking at the MTB shorts - I don’t think you have enough to do changing suppliers John ???? We will be receiving a full box of sample kit for everyone to try on. Just need to work our where everyone can try them on. Book out the scout hut for an evening. does anyone have a venue that they think would be better. Ask Cycle Inn would they hold them for drop in. Personally I think an evening at a venue will be more efficient and we can quickly get sorted. When the box of full kit samples arrive we have found a venue to have one or two try on sessions. Ill announce dates when it arrives. The kit samples should be arriving around the 28th/29th. 2 pairs of bib shorts medium and x1medium short sleeve skin suit please. I am receiving the full sample kit today for everyone to try on. I will announce the venue and time slots very soon. It will probably be evenings. You can try on the male and female kit samples at Richard Oakes house. Richard will email all members his address. 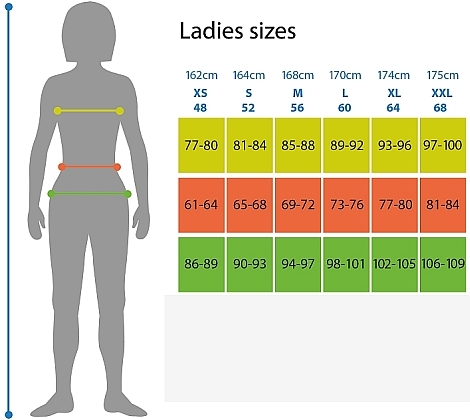 When you have got your sizes please put your order on here and I will then collate the order. Short sleeve road jersey XXL for me, please. Thank you. Will the order be back before LBL? If so I will put an order in. Dan Ellmore will provide a link so that you can place your own order and pay for it. It would be good if everyone put their order in ASAP. We will keep it open for a week. I will compile everyone's order so we can track everyone. When the order is completed I will take delivery and then you can pick up from Beeston. Nick if the kit isn't ready before LBL we will post it to you FOC. Alastair: what size cap do you want? Charlie: what size S/S jersey? I can ask about MTB shorts, what size? or do you want normal bib shorts? Hi John, coming to social on Thursday to try a jersey, would be interested in MTB shorts but wouldn't that add a whole new tangent to the design process? Charlie it would, but not beyond the realm of reality. John, presumed cap would be one size? Alastair: if you are normal size then large should be ok. They have small, med, large and XLarge. OK all, here is the purchasing procedure going forward. I will post a shopping link later this evening that everyone can put their choices, sizes and pay on line. IMPORTANT SEE ORDER LINK AT TOP OF THE PAGE. PLEASE ORDER, IT IS EASY. EVEN I HAVE MANAGED TO DO IT AND NOT BREAK IT. Hi John, I just placed the order but there wasn't anywhere in the webpage "coupon code" to claim free delivery so I had to pay for it and left a message to the company if they can refund me the shipping charges as you would collect them? Sorry it wasn't that clear on the post at the top. Hey Kostas I will check this with them. Dan will take a screen grab and highlight where to put it. Hi John. The aero s/s jersey a few of us have requested isn't available as an option on the Ellmore link? Hi Gav I will contact Dan about the aero S/S Jersey. 'When members have added their items to their basket if they click on ‘shopping cade’ there is a box to ‘use coupon’ if they go straight to the checkout is bypasses the option for a coupon'. I have also put this message at the top of the post, 4th paragraph. 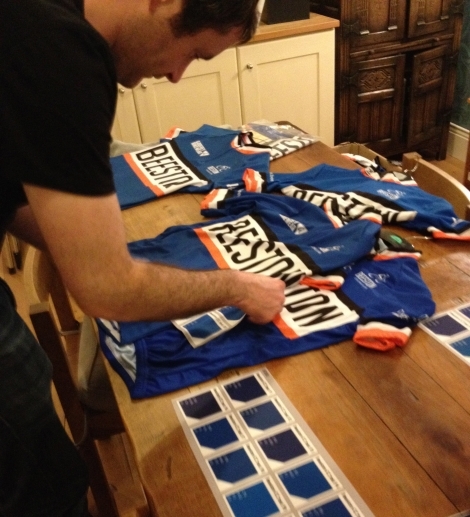 Dan is adding the aero jersey to the page this morning. Herve emailed Dan @ Ellmore who said he would reset the coupon but still no joy. Contacted him again and he said to clear cache but I've tried that twice each on combinations of different browsers and devices but still getting the same message. Anyone had it and fixed it? For some reason the coupon needed resetting as it had set itself an expiry of 2014 when we left it blank so it should never expire. Matt Rowe has successfully completed. Still the same for me also, 4 browsers on 3 devices with multiple cache clearances. Yep, same for me. Coupon code not accepted. Once they do this they are prompted to input the coupon (see 2nd image below) and then the postage is removed as they checkout. I think that is what we are all doing John, if you just try and checkout you do not get the option to enter the code. 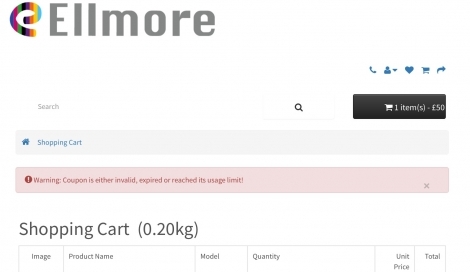 We have entered the code via the cart and are getting the invalid coupon error. Hi John, I'm having the same issue, just sent you a mail as discussed with a full screenshot to share with Elmore to help debug. Cheers. Hi All I have spoken with Mike tonight and emailed Dan. Given this bug it is wise to extend the order window to the 8th March. hopefully we can sort this asap. See response from Dan to Mike and I. Apologies for this issue, I have removed the coupon and re-input a new one wit the same settings and code. Hope this works for everyone now. Great thanks for all your proding and investigating. The coupon had an historical £ value that only operated above a certain level. Thanks John. Order placed, all works fine now. I've ordered a jersey and a cap. I think it worked. I've paid for something anyway. I've just noticed I've ordered 2 caps by mistake. I thought the total was a bit high. Oh well. Hi all the group order is in production now. If anyone orders from now it will follow on but you need to place put your address for delivery. I only collect group orders as I collect from Lincoln.